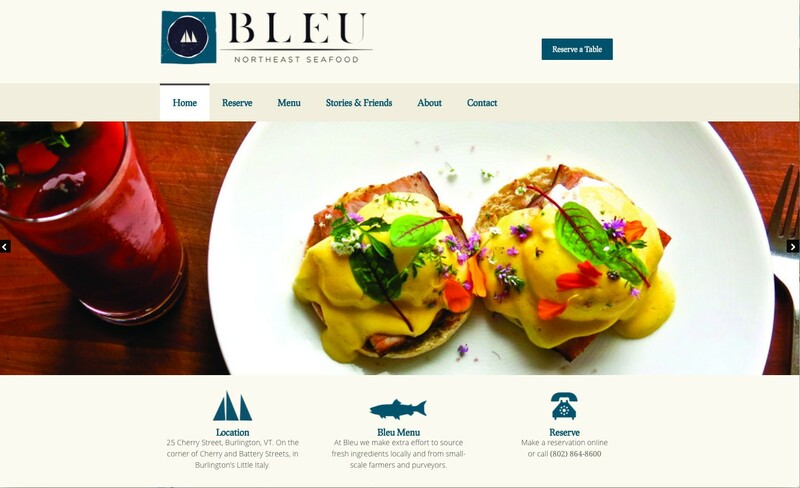 Bleu Northeast Seafood is the newly renovated in-house concept restaurant for the Courtyard Marriott Hotel in downtown Burlington, VT. This minimalist and clean WordPress website showcases great food photography and go-to information, and is dead easy for the staff to update menus, etc. as needed.